Have Indian troops abandoned Indian territory? The incursion by Chinese troops into the Daulat Beg Oldi (DBO) sector of Ladakh on 15 April 2013 by erecting and occupying tents was responded to on the ground by Indian troops erecting tents nearby to prevent further Chinese advance. The incursion is said to be in the Burtse (mis-spelt as “Burthe” and “Burste” by some journalists) sub-sector. Most people do not know where DBO is on the map because they have no access to maps that have DBO marked on it, much less Burtse. A not-to-scale map of the area alongwith a distance-chart and an altitude-chart is ATTACHED, to give a rough idea of the places, distances and altitudes. In particular, Burtse and DBO are about 43-km apart. My educated guess from my ground knowledge and from the map, and from the LAC as approximately marked in red, the incursion is likely to be closer to Depsang la than to Burtse post. …some media reports are wrongly assuming that Indian troops have abandoned Indian territory, unaware of the fact that troops of any army occupy fortified positions (posts) and control area by observation and patrolling. Troops cannot and do not sit on the line like birds on a wire to monitor a line of control or a boundary. A location which is fortified and occupied by troops is called a post. Troops come out of their posts and patrol the area in its frontage to reconnoitre (recce) or to show their presence or control of the area. Patrols normally go out as far as their knowledge of the line of control (LAC). When, as in DBO sector, the LAC is not marked on the ground by boundary pillars or other structures by mutual agreement, the Indian troops’ understanding of the LAC is the extent to which they have been patrolling and likewise, the Chinese troops’ understanding of the LAC is the extent to which they have been patrolling. Accordingly, the Indian side of the extent of Chinese patrolling is undisputed Indian territory, and likewise the Chinese side of the extent of Indian patrolling is undisputed Chinese territory. When the extent of patrolling by Indian and Chinese troops overlaps (obviously to different lengths at different places), there is a disputed area. Since my information is only from the media (about Burtse, for example) and I have no information from troops stationed on the ground or from their higher HQ about the incursion, I cannot say with any degree of confidence whether the Chinese troops pitched their tents inside Indian territory or within the disputed area. However, reports in the media stated that the Chinese incursion was 10-km into Indian territory and later the same incursion was stated to be 19-km. On May 5, 2013, Chinese troops are reported to have completed their withdrawal from their tented (incursion) position, and correspondingly Indian troops also withdrew from their tented position to their fortified posts. But some media reports are wrongly assuming that Indian troops have abandoned Indian territory, unaware of the fact that troops of any army occupy fortified positions (posts) and control area by observation and patrolling. Troops cannot and do not sit on the line like birds on a wire to monitor a line of control or a boundary. For journalists who are not familiar with the army’s functioning to get a better idea of the ground position, they need to ask the army authorities after understanding the above explanation. Now that the stand-off has been defused without military engagement, it is vital that both sides negotiate and take concrete steps to demarcate the LAC on the ground including GPS coordinates. My article attempts to make the ground position clear for those who may not know where precisely DBO is (one colonel wrote, calling it “Daulatabagh Oldie”) or where precisely Burtse is since the same gentleman called it Burthe and stated that there was a habitation of Balti people south of it, and the media called it Burste. I had provided a sketch with details but when the article was first published in IDR, the sketch was not included. The sketch that I provided was inserted later, and it is now in place. The title “Have Indian troops abandoned Indian territory?” is to show the hawks, who are demanding “strong action” by Indian troops, that we have done what is necessary and sufficient without surrendering any territory. If that enhances the army’s image, then so be it. Saving the army’s image is not to give a “facelift” to those who let 1962 happen. Please do read my piece “Lessons from 1962: Is 50 years not enough?” in IDR, 13 Nov 2012. With a section of the media (reporting former RM Mulayam Singh Yadav) implying that Indian troops withdrew from our own territory under pressure from the Chinese, there is, in my view, sufficient reason to save the army’s image. The army’s image has taken a beating with very senior officers’ shenanigans and corruption charges coming in the print and electronic media, and being read or viewed by all including own troops. I believe that we all need to do everything possible to tell the reading public (through vehicles like IDR, for example) that in the 15 April case of incursion by China in the DBO sector, our troops gave no quarter to China. I fail to see how doing this helps government “usurp powers from the armed forces”. And why on earth should I blame Gen Sunderji?! If there is anyone to blame, it is general/flag/air officers and successive service chiefs who have not insisted on services representation on the National Security Council instead of being in the lower rung Strategic Policy Group as at present. Looks like the General wants to save the Army’s image, yet what he is doing is giving a facelift to those who have let 1962 re happen by ussurping powers from the armed forces and making the seat of Generals into puppets. I would agree with what Sankar just said. Besides, we have such dilly dallying approach of solving issues that we lose control of the things. Should we ever expect to get the areas back which we have lost in the form of Pakistan Occupied Kashmir and China Occupied Kashmir? Why is that China can do whatever they want within their territory (even in those which they have snatched from us) and we cannot? Why are we so afraid of taking strong decisions even when it is utmost required? 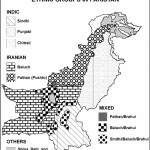 The article is for those who may not know where precisely DBO is (a colonel wrote, calling it “Daulatabagh Oldie”) or where precisely Burtse is since the same gentleman stated that there was a habitation of Balti people near it. I had provided a sketch with these details but when the article was published in IDR on 8 May, the sketch was not included; it is now included. The title “Have Indian troops abandoned Indian territory?” is to show the civilian hawks who are demanding “strong action” by Indian troops, that we have done what is necessary and sufficient without surrendering territory. Negotiation is not to concede territory to China. In whose interest would it be to provoke military conflict howsoever limited, noting that limiting the area or scale of conflict is not in our control? I agree that in our earlier dealing with China, we did not show gumption or strategic vision because of the political leadership. But even today we have no strategic vision, as evidenced by the fact that (1) the National Security Council has not produced a strategic vision document in over 15 years, (2) the NSA is a bureaucrat who may know about internal security but little about external security, and (3) the Fauj, which understands external security and strategy but has no place in NSC, but none of our general officers or service chiefs has had the gumption to demand representation on NSC instead of advising NSC from the lower-rung Strategic Policy Group. Indian forces pitching a tent near the tent pitched by China in the present incursion case prevented further incursion by China. That the face-off did not escalate is a good thing. Chinese troops withdrew and this was followed by our troops withdrawing to our defensive positions. True, we were forced to react to China’s initiative. You say that “the Indian Army is ill prepared to fight PLA”. If we cannot fight the PLA and do not negotiate to demarcate the LAC, kindly suggest what else we can do in the immediate context. I wonder for whom this article is meant. The General says “it is vital that both sides negotiate and take concrete steps to demarcate the LAC”. Is China waiting for such an advice, or for that matter are they interested in negotiation? They have never supplied India with their maps for the last 50 years or more what they regard as their boundary with India. I would remind the General to read through all the speeches Mr Nehru made in this context. After Nehru realized the blunder he made in trusting China until 1962, he had emphatically said that China claims territory which even for ten thousand years never belonged to China. And look at Manos Sarovar where the Hindus went in the past year after year for pilgrimage. They never needed Chinese permission to go there. And since 1949 when China invaded Tibet, all that pilgrimage came to a halt. And Indians must have Chinese approval to go there. Is China going to hand over Manos Sarovar to India? And in the 1950s when China gave the Indian authorities their “maps for the boundary”, they were constantly changing their “maps” extending their sovereignty. According to media report, the Indian Army constructed their observation (post) bunkers in the Chumar area, and they have now destroyed those bunkers under Chinese pressure for the Chinese to withdraw from their recently built tents. 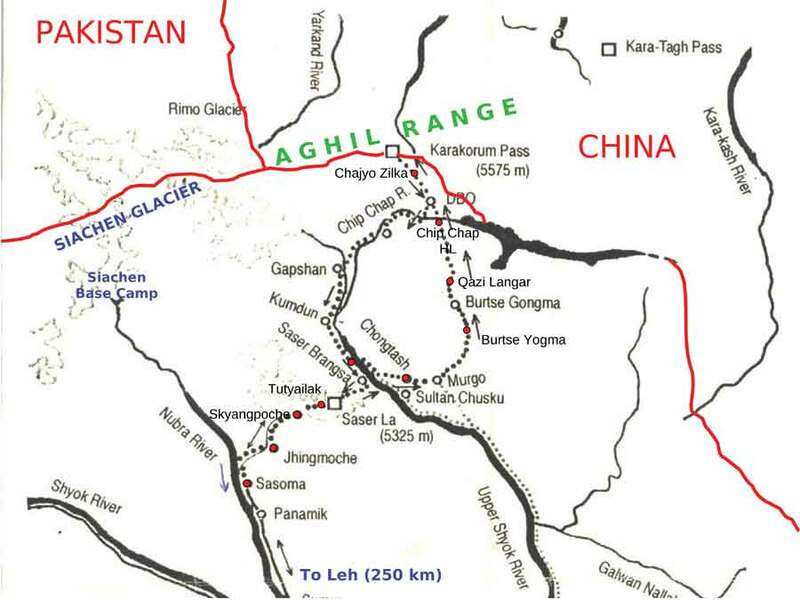 Can the Indian Army cross over to Aksai Chin and pitch their tents near that highway China built there to connect Sinkiang, and then demand that the Chinese destroy that highway before Indian soldiers would go back? History is littered with cases where the boundaries of nation states have come into existence through wars. And the Indian Army is ill prepared to fight PLA for whatever reasons. There is no point of pretending that the Indians are not at a receiving end in this context. I am a indofijian from the tiny place called fiji, I am proud to have a indian heritage but the indian government does not have balls. first they always jump up and down when things happen and then things go quite. they dont have the balls to kick pakistan for the mumbai attacks, they dont have the balls to hunt down and kill dawood ibrahim who is living a luxrurious life in pakistan, the indian army seems to be afraid of the chinks as we call the chinese. have the balls and hunt down enemies of mother india to the last hole on earth. I have more more respect for Israel defence force than the indians because they hunt their enemies and never leave any israely behind. I will consider myself fijian from now because indians dont have the balls, funken wankers.